Treat the one you love with a NEO gift card. 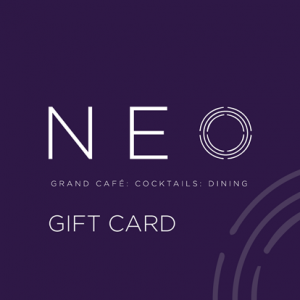 Treat someone special to the perfect gift with our NEO gift cards. Redeemable against any meal or drinks.